AARAX Group is a global management consulting firm with specific focus and expertise on Iran. Our Business Consulting teams possess many years of know-how and experience on Iran and the Iranian market. We have a deep insight on the economic and sociopolitical structure of the country and maintain personal ties and relationships across the country’s demographic spectrum. Companies planning on entering the Iranian market should consider that while it is ripe and profitable, it can also be complicated. Success in Iran depends on comprehensive due diligence and a clear business plan. AARAX Group serves its clients by providing bespoke solutions to Iran’s unique challenges. We provide services for government institutions and organizations, helping their clients in the internationalization of their companies. We work with the private sector, allowing companies to enter and profit from the potentials of the Iranian market. We provide services ranging from detailed market analysis, market entry options, road maps and feasibility analysis to specifics such as problem solving or negotiations assistance and establishment of offices and personnel in the country. We partner with clients in all sectors and regions to identify their highest value opportunities, address their most critical challenges, and transform their businesses. Our customized approach combines deep insight into the dynamics of companies and markets with close collaboration at all levels of the client organization. This ensures that our clients achieve sustainable competitive advantage, build more capable organizations, and secure lasting results. 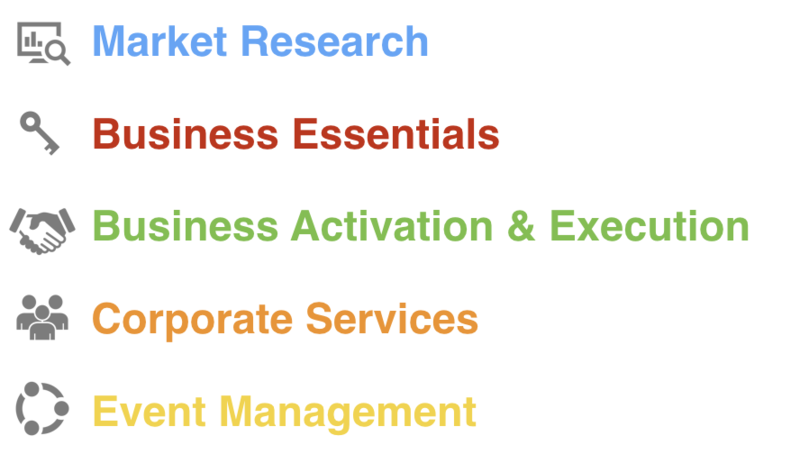 Our consulting services in Iran are categorized as Business Consulting, Market Research & Analysis, Management Solutions and Business Essentials, Roadmap & Business planning, Business Activation & Execution, HR & Corporate Services as well as Event Management such as Seminars, B2B meetings, Conference and Expo Services.